“There are always things you can do better, and people you can learn from,” Karen said. The family set up a farm in Allendale East after arriving in South Australia from New Zealand a decade ago. 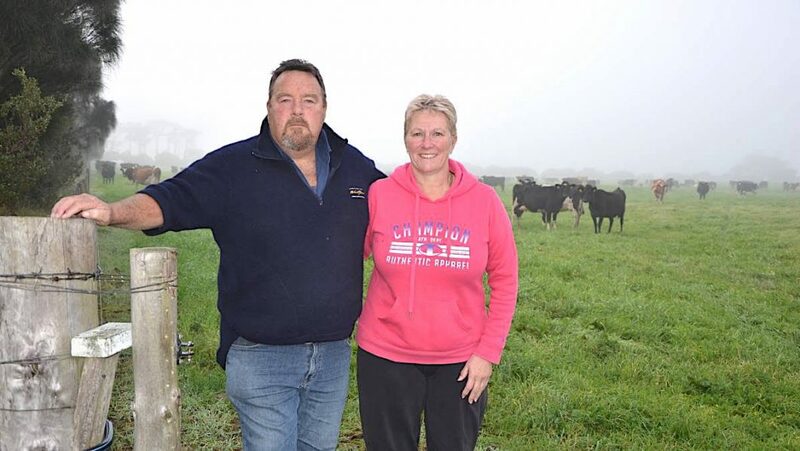 Now John and Karen are equity managers in a 600-cow dairy and co-own a neighbouring (soon to be) 450-cow dairy with John’s brother. The new farm has been a gradual development, with progress as cash flow has allowed. “We’ve done a lot of capital works in the past 18 months which has come out of cashflow. We’ve had to manage that very, very carefully, particularly given the recent downturn in the industry,” Karen said. For example, part of the new property was diversified into potato farming to provide cashflow and to assist with soil fertilisation, before turning that land back to dairy pasture. A constant focus for John and Karen is food safety. “We are audited regularly by our processor and Dairysafe, and we work hard to ensure quality standards are achieved,” Karen said. “As part of that, all contractor work, such as spraying and fertilising, is documented. We have standards and policies around stock identification if they are being treated, and every staff member is included in training. The Hunts have also invested in a sprinkler system for more efficient irrigation, and use state-of-the-art soil moisture monitors to measure how much water they actually need to apply. John, who is the current President of the South Australian Dairyfarmers’ Association, believes that despite the occasional bump in the road, the future is bright for dairy farming in SA. John and Karen Hunt, dairy farmers from Allendale East.